We may not pay conscious attention to the shape of our ears as we get older, but protruding ears may just be one of the facial features which can haunt us back from our childhood. Imagine spending your younger years being called “Dumbo” or “Elf” because of your hearing pair. As we grow older, the size of our ears may somehow look in harmony with the rest of our face, so that solves the problem, but on some cases, it just doesn’t happen, so you are left with either keeping your hair long enough to hide your seeming antennae, or have it pinned back or made smaller. If you are eyeing for a surgical procedure, Yoskarn Clinic offers Otoplasty. Otoplasty in Thailand is a cosmetic surgical procedure that can change the shape, position, and/or size of either or both sides of the ears. WHO ARE THE CANDIDATES FOR OTOPLASTY in Thailand? If you are one of those people who are keeping their hair long to cover their ears, then you may be a candidate for otoplasty in Thailand. Basically, the procedure is for people who feel conscious or unhappy with how their ears look, in terms of size, shape, or symmetry and are seeking for improvement. Though the surgery is minimal invasive in nature, patients should still be of sound health and mind before undergoing this treatment. Candiadtes for ear surgery in Thailand should also keep in mind that perfectly symmetrical ears may not be achievable but our surgeon, Prof. Somyos Kunachak, will make sure the asymmetry will be as inconspicuous as possible. HOW IS THE OTOPLASTY in Thailand DONE? There are several techniques that can be used to correct several aspects of your ear concerns. The most basic otoplasty surgery in Thailand will be done under local anesthesia with the patient lying in prone position. Prof. Somyos Kunachak will then begin the surgery by making an incision just behind the ear, along the fold where the ear is joined to the head. Depending on your main concern and your desired result, our surgeon may remove some cartilage and skin, trim or fold the cartilage, or just excise some skin leaving the cartilage intact. 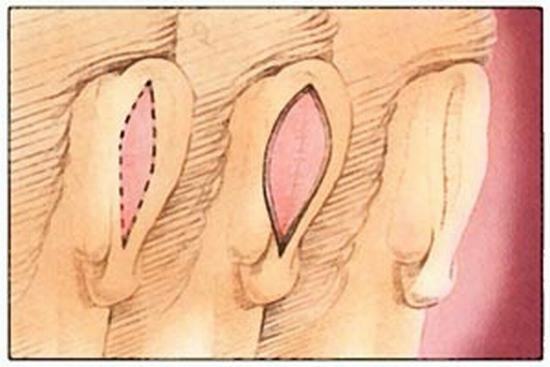 Also depending on the clients concern, one or both ears may be corrected with otoplasty. Since the procedure can be done in an outpatient setting, patients can go back to their hotel after the procedure which usually takes between 1-2 hours. Ear Surgery in Thailand can also be done under general anesthesia depending on what you and our surgeon, Prof. Kunachak, has agreed upon. WHAT CAN YOU EXPECT AFTER OTOPLASTY in Thailand ? A bandage or dressing will be applied on the incision site after your ear surgery in Thailand and will be removed in 5-7 days depending on the condition of the incision site. Your sleep position will somehow be affected during the 1st week of your recovery especially if you sleep on your side because pressure on either side of the ear should be avoided hence, lying flat on your back is highly recommended. A little pain may be expected but pain medications will be provided by our surgeon, as well as antibiotics. A little swelling may also be present but it typically resolves in a few days. Some degree of asymmetry may be present after otoplasty surgery since our face and the whole of our body is naturally not perfectly symmetrical on both sides but our surgeon will do his best to make both sides as equal as possible. 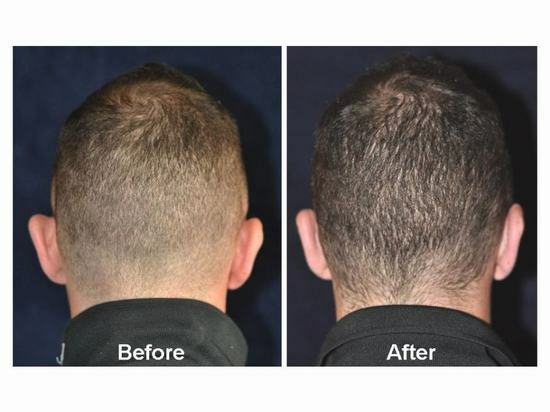 A noticeable change in shape and size of the ears, depending on your primary concern will be noticeable immediately after the surgery and the result is mostly permanent. Since the incision is hidden behind the ears along the natural crease, the scar will be inconspicuous though patients who are prone to keloid scarring can form keloids even on this area. There is nothing our surgeon can do to ascertain that keloid will not form, but proper wound care is always advisable to lessen the possibility. Yoskarn Clinic s one of the pioneers of specialty cosmetic clinics in Thailand so patients can be assured of the quality of our work and the experience of our surgeons. We can prove this by the numebr of patients we have been taking care of for years and who continuously come to our center even just to see our staffs and surgeons. Aside from expertise, our clinic also offers full medical vacation package with hotels, transportation, and tours. Aphrodite Inn, a boutique hotel sitting right beside our center is highly recommended for our patient's convenience. One floor of this hotel is actually connected to our clinic for privacy and easy access for all our patients, whether they are having a minor surgery or a major one. Aftercare will also be addressed better since we have our doctors and nurses around the building who can visit anytime, anyday. Companions are also allowed to stay with patients in the room while enjoying the benefits of staying in a hotel rather than a hospital setting. Companions are also provided complimentary breakfast as well as patients, and room service is always available.